Preparing to have a baby does not start with a positive pregnancy test. Ideally, it should start several months BEFORE conception when the mother’s egg is ripening and the father’s sperm is maturing. The quality of the egg and sperm, which form the baby, depends on the health of both parents. If either has a nutrient deficiency or a high level of toxins in their body, the possibility of having a healthy baby may be reduced. This may result in a miscarriage, birth defect or even prevent a pregnancy from happening, altogether. 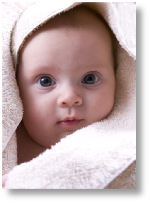 On the following pages, you will find information about the steps that both of you can take to prepare for your baby. The information on the Pre-Conception page provides healthy diet and lifestyle recommendations to increase your chance of conceiving. A Pre-Conception Health Check is recommended to assess both parents’ health and fertility, and identify any nutrient deficiency or toxic overload that needs addressing. The Pregnancy page includes diet and lifestyle recommendations to help the mother throughout pregnancy, and the Post-Natal page gives helpful tips on breastfeeding and post-natal health issues. There are also other fertility experts who have produced Free Ebooks, Articles and Webinars which can be downloaded from their websites. To visit their sites, click on the links below.